Blayze Games releases its second weekly copyright strike report. Copyright strikes against 421 videos have been filed. This figure includes 324 Bullet Force videos and 97 Forward Assault videos, all of which promote hacking or account sharing. Six YouTube channels that uploaded hacking videos of Bullet Force have been taken down or are to be disabled by Google. Thank you for tuning in to the fight against hackers! Today, Blayze Games developer YouDoneSon had been "removed" from his role. His departure will undoubtedly shift the course of Bullet Force's development. This means massive changes over time for Blayze Games, and we aren't sure what the future will bring without YouDoneSon. In the above snapshot, YouDoneSon states "I have been removed from my job at Blayze games as a developer, lead MOD and Creators Club manager". This surprise post was made in the moderator-exclusive staff channel on the Bullet Force Discord server. The reasons for his apparent removal from the Blayze Games team are still uncertain. Some members of the community have pointed to previously occurring drama such as pressure resulting from the incident with popular YouTuber Feitz, or the demotion of administrator ViperConcepts, but whether or not these are primary factors in YDS being removed is currently uncertain. It is all hearsay and conjecture at this point in time. 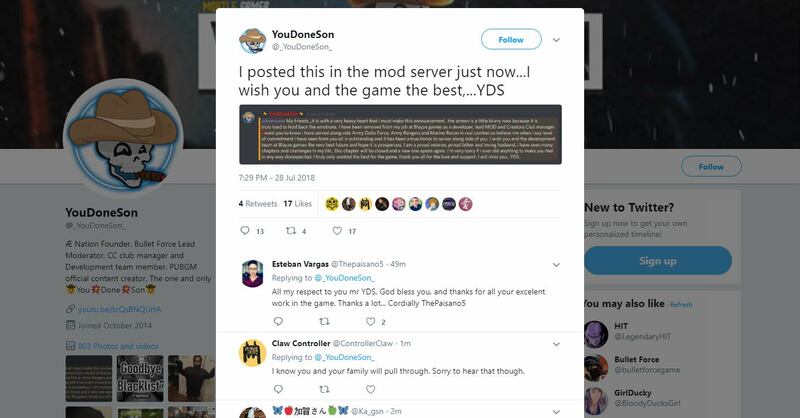 On his Twitter feed, YouDoneSon is continuing to receive large amounts of positive praise from his fans for his work on Bullet Force and at Blayze Games. Was YouDoneSon's kick from the team a just decision by whomever removed him from his role? I'll let you decide. Some more information might come through soon. Stay tuned. Blayze Games will begin to publish weekly reports for banning hackers and taking down videos promoting hacking of its games. Every Saturday, Alexkazam, Blayze Games’ social media marketer, will post weekly statistics on the game’s Facebook page on number of accounts caught cheating banned and number of videos for which copyright strikes were filed against on. Since the middle of the second week of July, Blayze Games filed copyright strikes against 535 videos promoting hacking Bullet Force and Forward Assault. 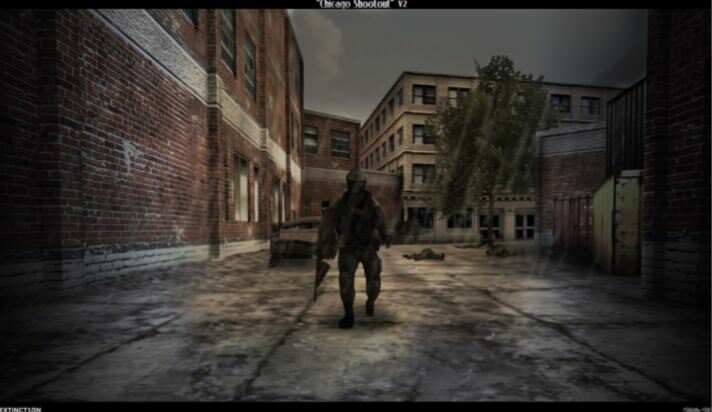 This figure includes 374 Bullet Force videos and 161 Forward Assault videos. A mix of the most-viewed hacking videos and new videos showcasing modded APK’s for the latest versions of both games are included. The copyright strikes are part of Blayze Games’ change in direction. After fixing bugs and glitches, the next priority is fighting hackers by improving both games’ anti-cheat systems, hiring more moderators and Discord moderators, and taking down videos that promote hacking. 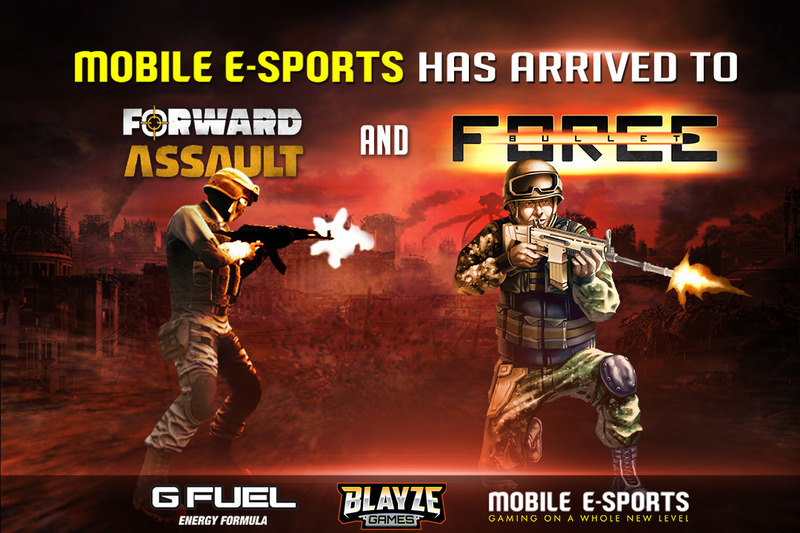 Thank you for your continued support for Bullet Force and Forward Assault! As announced by Mr Blayze himself! We are always trying to improve our games, and we want to hear about how you think we our mods are doing. Please fill out this simple form and give your positive or negative feedback on the Bullet Force or Forward Assault moderators. THANK YOU! 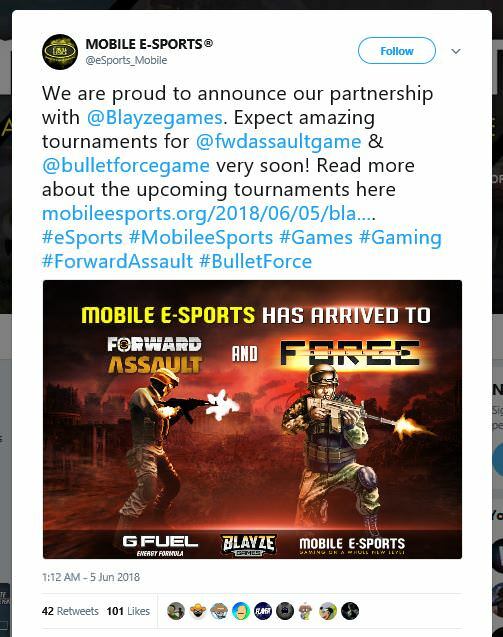 Blayze Games developer HiT announced today that Bullet Force and Forward Assault will be - from this point onwards - focusing on ridding the games of their bugs, glitches, hit detection issues, hackers and cheaters, and improving the server performance. This is a huge step in the right direction and will eventually improve the experience for everyone. 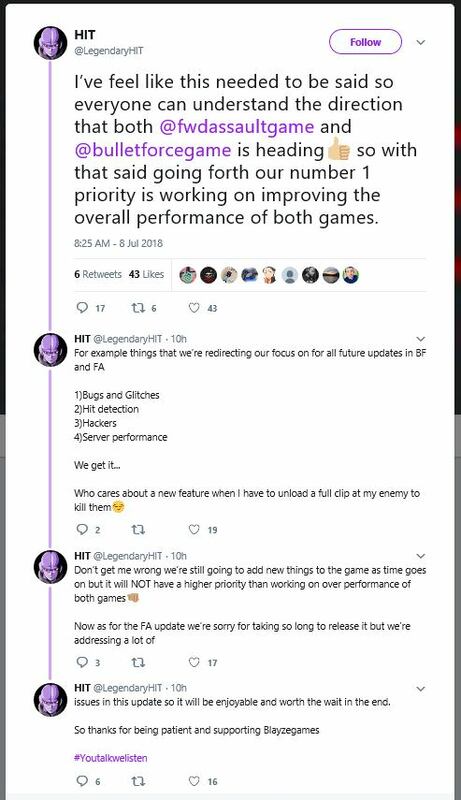 HiT also stated in his Tweets today that Bullet Force and Forward Assault will still be receiving new weapons, maps and features, but "it will NOT have a higher priority than working on over performance of both games". Regarding Forward Assault's update delay, HiT apologised stating "we're sorry for taking so long to release it but we're addressing a lot of issues in this update so it will be enjoyable and worth the wait in the end". In unrelated news, the Forward Assault Discord server has reached 32nd spot in the list of the world's largest Discord servers! Thank you all very much for your continued support. E-Sports is coming to Blayze Games! A brand new eSports experience is coming to Blayze Games! In direct partnership with "Mobile E-Sports", official tournaments and competitive scrims will be hosted in the upcoming weeks! This is a massive opportunity to win amazing prizes and fame on the eSports stage, so start training! BF Graphic Design Contest Winners! 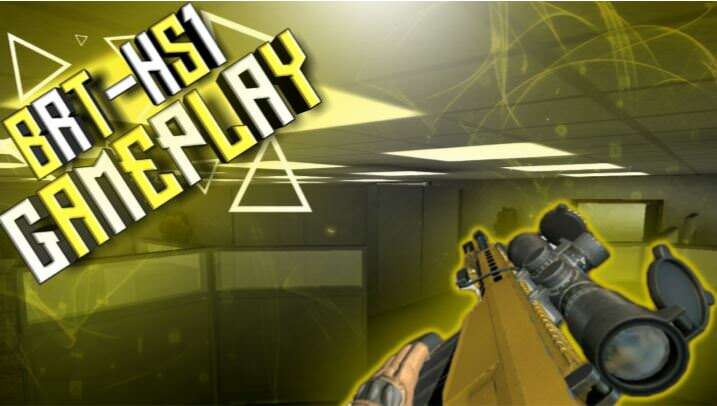 For this awesome YouTube thumbnail! Well done on first place, Nick! 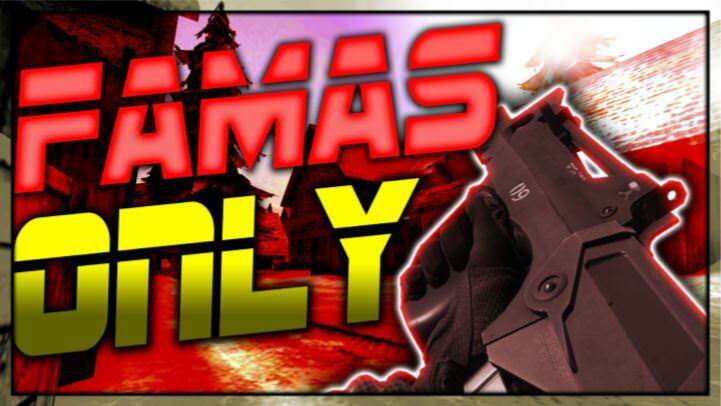 For this snazzy BRT HS1 YouTube thumbnail. Nice work, Caleb! For this cinematic image. Nice work, myself! The three winners have all received a large Gold payment as a reward. It was very tedious to go through every submission, and there were many amazing images to select from. Thank you to everyone that's created an image for this contest, you're all winners in your own right! YouDoneSon's Tour of the NEW Canyons Map! It's that time of year again! Sneak peaks are popping up everywhere. Today, YDS has uploaded a video of a tour of the new map as well as information regarding the new gamemode. The developers aren't 100% sure what they'll be naming the mode yet, so suggestions for the name are appreciated. Stand to Attention all Soldiers of Bullet Force! Hail the new monarch of Bullet Force, the British L85A2 is coming our way very soon! 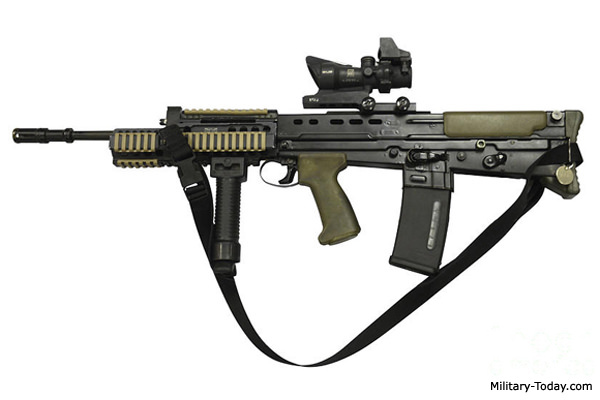 This exciting, innovative assault rifle was made in The Queen's land for The Queen's soldiers. It is an absolute powerhouse in performance, and is intimidating in design. Boasting a rate of fire of 775RPM and an magazine capacity of 34 rounds, this British Bulldog can conquer anything that dare stands before it. 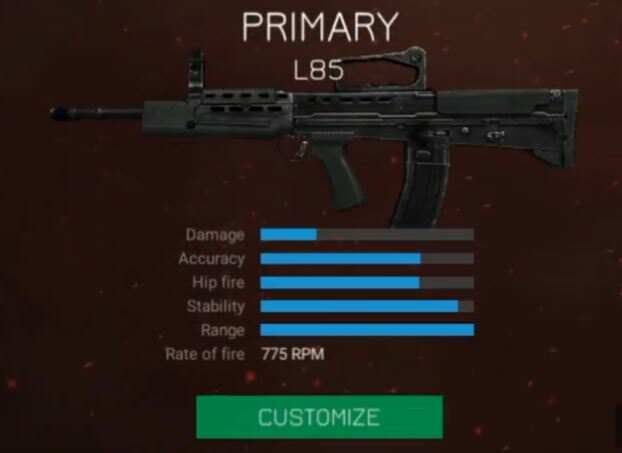 It might be OP, but we'll see when we all get to feel the gun for ourselves in the update. Read more about this awesome firearm down below! Blayze Games Limited-Time 2X Gold Event! Attention all Bullet Force soldiers and warriors of Forward Assault! 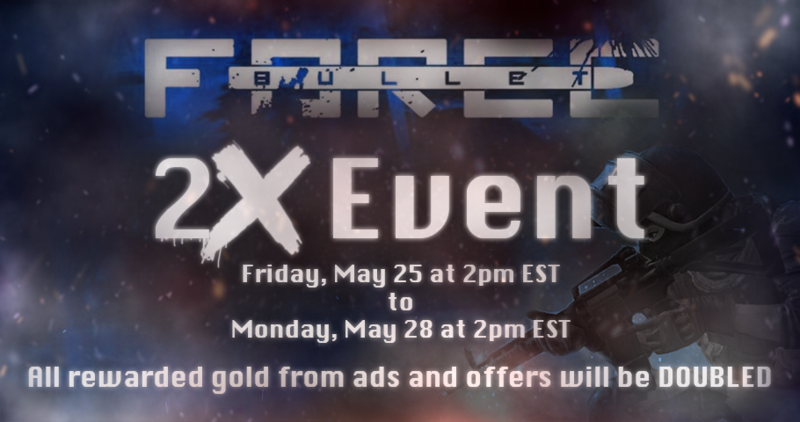 For a very limited time, all gold earned from watching ads in Bullet Force AND Forward Assault will be double! 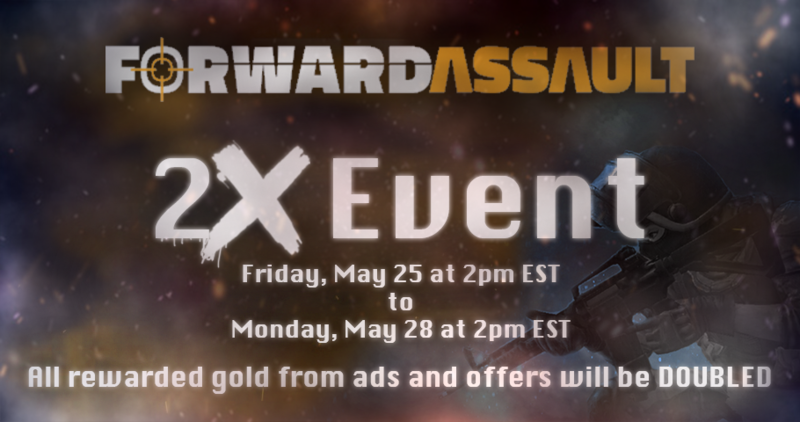 This special event will last from 2pm EST on the 25th of May to 2pm EST on the 28th of May, so be quick!